Sakura Haruno (春野サクラ, Haruno Sakura) is one of the main characters in the series. 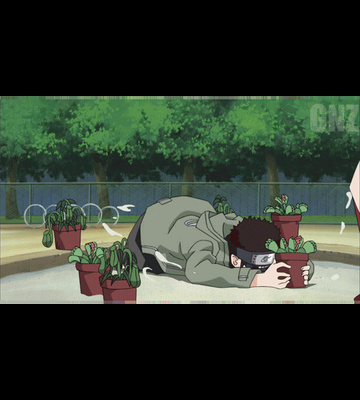 She is a chūnin-level kunoichi of Konohagakure, a talented medical-nin, and a member of Team Kakashi. During her early years in the Academy, Sakura was frequently bullied by others due to her large forehead. To try and combat this, Sakura used her bangs to hide her forehead, fuelling the other kids' teasing by indicating she was sensitive about it. Ino Yamanaka, realising this, helped Sakura by giving her a red ribbon that she used as a way of drawing attention to the cuter features of her forehead, which helped Sakura overcome her insecurity. 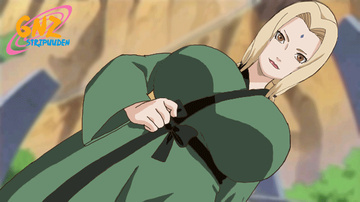 The two became best friends and Sakura grew more confident, developing her own unique personality under Ino's guidance. 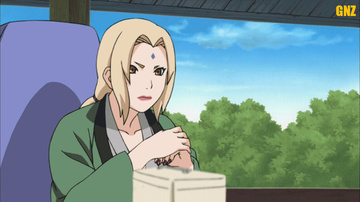 Despite this, Sakura felt that she was living in Ino's shadow and longed to prove herself as Ino's equal. 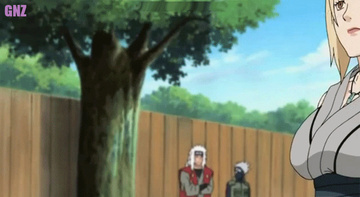 Later, when Sakura found out that Ino also had a crush on Sasuke Uchiha, Sakura ended their friendship so that they could compete for Sasuke's love, thus beginning a bitter rivalry between the two.